Bhel puri basically originated as a Gujarathi chat but got popular becase of the small gallies of Mumbai(Bombay).Any place around Mumbai & almost all over India you will able to find this chat corners which has spread its wings all over the world at the moment. Take a bowl add crushed pappadi , chopped onion, tomato & potatoes. Add dates chutney,green chutney,chat masala , red chilli powder, Amchur powder & salt. Add puffed rice , coriander leaves & Mix well. bel puri --who doesn't like it? yours looks delicious. hi bhel puri looks yum. then i saw the next 3 posts and all are my favorite. i think i'm going to invite myself over to your house :-) Nice blog! love it anytime..can you pass me that plate? 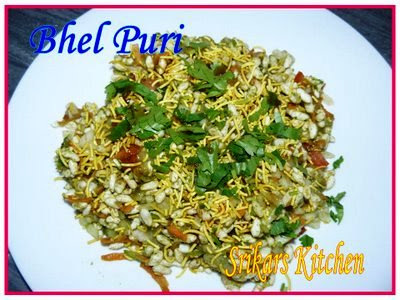 yum yumm..yummy bhelpuri... mouthwatering recipe..
Yummy snackies. Bhel puri looks gr8. I love this, i have never made them home. Last time i ate then was when i was in India. 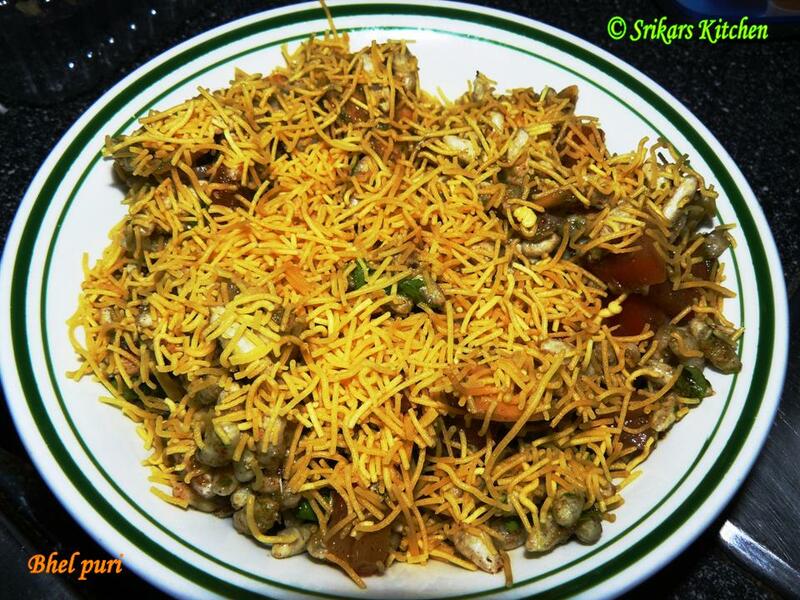 Looks mouth watering....I love all kinds of chaat especially bhel. Never had Bhel Puri before. Always thought it was a type of Puri as in the bread. Silly me! Looks so appetising. Btw, please collect your Diwali card from my blog. Happy Diwali, dear. my street food....used to have it a lot in my school days....just awesome. ahaaa..Bhel Puri is my all time fav sanck. Low in calorie and tasty too..